Studio apartment in a new house (3rd floor), clean, comfortable. At your disposal: a bed for 2 people, sofa folding. 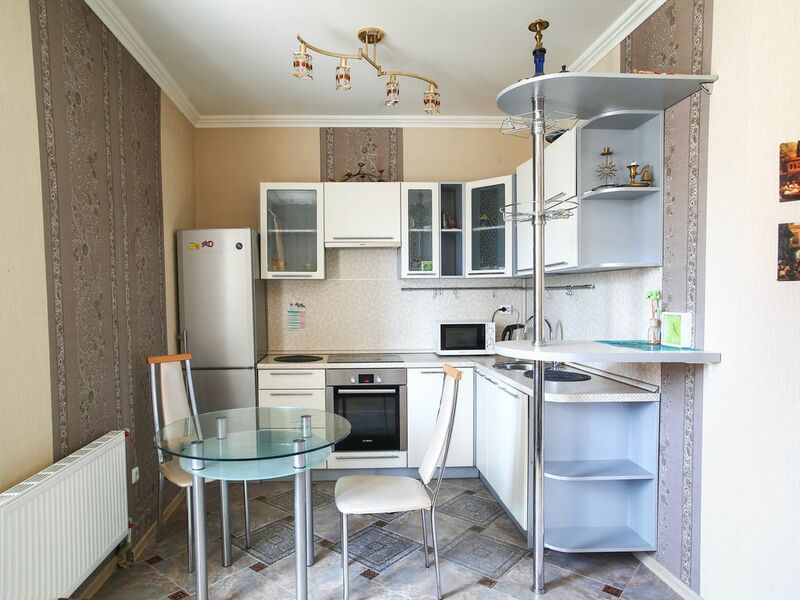 Kitchen area includes: kitchen set, refrigerator, microwave oven, dining table, chairs. For storage: cupboard, cabinet, chest of drawers. There is a spacious glazed balcony (smoking is allowed only here). The bathroom is combined, for guests I provide bathrooms and toiletries. Also for guests always tea and sugar. We will be glad to the meet our guests! - (3 ), , . : 2 , . : , , -, , . : , , . ( ). , . .